Please read the following information and guidelines regarding who can apply and the application process, which does include a mini digital portfolio. 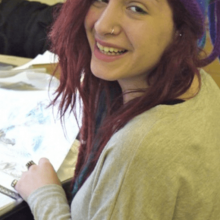 London Art Portfolio welcomes students’ of all different levels of creative artistic ability and English language skills. Our courses give you a clear advantage; we deliver the necessary, focused support and direction to prepare strong, successful portfolios for all specialist fields, at all levels including Degree and Masters. We can assist you with the whole University Application process to meet your deadlines. In addition students benefit from our small group size in so many ways. Many students prefer to study in a more intimate environment. Everyone has the opportunity to learn quickly and this includes a positive raise in the level of English language skills, both, written and oral skills through discussion, workshops, critiques; mini essays and presentation. This is great for Interview preparation too! Please read the following information and guidelines regarding the Portfolio Application Process. When you are ready please upload your digital portfolio and complete the Online Portfolio Preparation Course Application Form. We are popular with students from all UK, EU, EEA and Swiss citizens or Internationals with a current visa for the UK. Students come to LAP for successful portfolio preparation to top UK, EU and International Applications all over the world. We offer a range of Portfolio Courses, which you can build up and block book in 4 week and 6-week course programmes. This offers you great flexibility when planning to visit the UK. You can enrich your personal programme with One-One Tutorial Support and Mentoring and also receive Digital Portfolio Support, which is now an essential part of the application process. 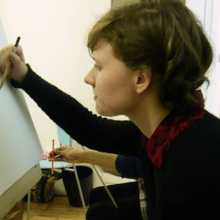 London Art Portfolio can assist and guide you through the whole University Application process. We can give you experienced career advice. We are open to the design of specific tailor made personal programmes too. For your application you are required to submit a personal statement of up to 350 words. Through this statement you should explain your art and design inspirations, creative experiences, and personal interests other than art. Include any particular materials, mediums and technologies that you like to use or would like to learn. This can include previous studies and your future ambitions and dreams. Please clarify which portfolio course you would like to apply for, and if you may need digital portfolio and UCAS application support too. As part of the application process, you will be required to submit a mini digital portfolio of your work. Your portfolio of work should be presented as a PDF document, which you can create using PowerPoint, Word, InDesign and other programmes. You can only upload one file at it should be no larger than 50MB. Your Digital Image Submission should have a total of 6-8 images, each of which can include multiple images within it i.e. four ideas or images can placed together to create one jpeg image. London Art Portfolio will review your online application and digital portfolio. We then assess and identify your level of creativity, skills and innovation. This is essential as students are applying for a range of levels and specialist fields. 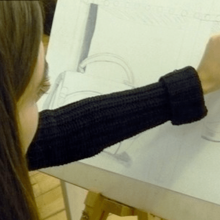 For beginners, your application allows us to discover which specialist area of art and design interests you and if you have attended any previous art and design classes. This is very helpful for career change applicants too. For Degree and Masters applicants it is vital to be clear what your ultimate goal is. Our courses can equally help you decide which area of study to apply for. Through our project design and art and design curriculum development we are able to identify the best subject field that is best for you and advise you. In this way our experienced team of tutors can prepare bespoke support and advice prior to the start of your portfolio course. You are very welcome to book an on site visit before you start your portfolio programme, although many students organise their whole application in advance online. London Art Portfolio is very proud to be successful at placing students onto degree courses in all specialist fields at top UK, EU and international universities. 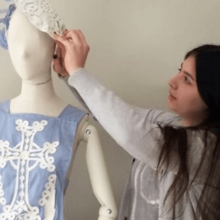 Our Internship successes include: Peter Pilotto, Iris Van Herpen, Dior and many more..
London Art Portfolio offers a limited number of places. With our small group size we are able to maintain our continual success. We welcome applicants who are committed, have the desire to learn and develop their creative thinking and art and design skills.